The Wii doesn't compete with the Xbox 360 or the PlayStation 3 when it comes to graphics, but for sheer fun, it's hard to beat the immediacy of the Wii. That explains its phenomenal success, and it also explains why the most popular Wii games include various multiplayer "party" style games. 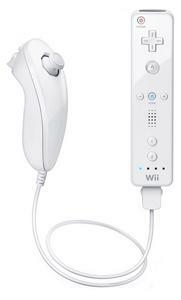 In particular the bundled Wii Sports and Wii Sports Resort are ever-popular. Wii Fit is another example of an activity-based game that exploits the unique features of the Wii. The Wii's standard definition graphics don't make best use of a modern HD TV, but Nintendo has side-stepped that issue in part by its use of colourful cartoon characters in place of photo-realistic graphics. In particular, users can create cartoon avatars of themselves, called Miis using the the Mii Channel. The addition of a Nunchuk adapter does assist in game control, and makes a wider variety of gaming possible. The Wii misses out on more in-depth single-player games, and so it appeals more to younger players. Its family-friendly range of games make it popular with parents too. A really good buy, fun for all the family. With games for practically everyone - nobody has to complain. One downside is that the games are around �30, meaning a lot of money on games if you have a large family with different game likes. But i still recommend buying it! the novalty of the remote system soon wheres off then you are just stuck with a computer with poor graphics. owned mine for a year now and only played it a dozen times. you might as well by an old playstation or xbox realy if you cant aford a ps3, or a 360. my son has hours of fun playing ps2 games on my ps3 which he chooses over the wii. By now nearly every kid really wants a Nintendo Wii and begging their parents for one. The Nintendo Wii doesn't have good graphics and the the Playstation2, playstation3, xbox and xbox360 is better than the Nintendo Wii. You can have fun with it but not as much fun than any other console. If you want graphics and have money to burn get an Xbox 360 or a Playstation 3. 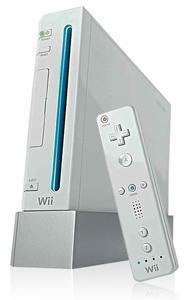 If you just want to have fun, hours and hours and hours of it, every week, get a Wii. I tried the high-definition tennis game on a friend's Xbox 360 a couple of days ago and after the Wii it was about as much fun as watching paint dry, it just felt silly and pathetic. Playing tennis on the Wii is really playing tennis, who cares that the players look like Playmobil figures. One warning: DON'T get the Tiger Woods golf game. It's a hasty port of the other versions and it doesn't work on the Wii at all. There is no real support for the Wii remote and the player will often swing and hit before you've even moved the controller, messing up your score, and this happens several times in every game.